The Rake Rack by Monkey Bars allows you to store all your rakes in one location. The rack is not limited to one type of rake so you can store all sizes and shapes. The Shovel Rack by Monkey Bars will allow you to store 1 to 20 shovels in a 4ft spot, freeing up valuable floor space. Holds 150 lbs. 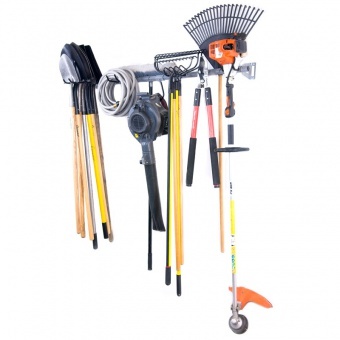 Our Garden Tool Storage Rack will take care of all your yard tool storage needs. 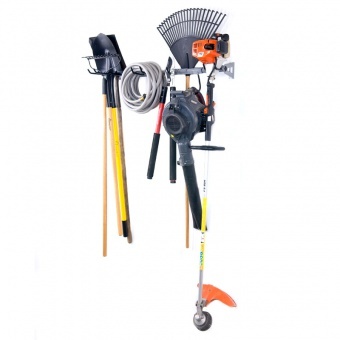 The tool rack can be used in a garage, shed or barn and even basement. The Garden Tool Storage Rack holds approximately 20 yard tools. 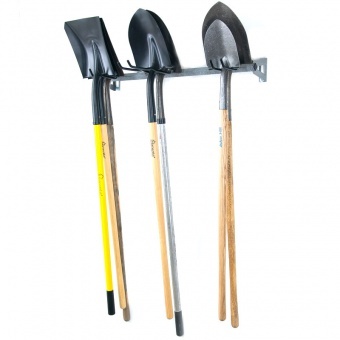 The Small Garden Tool Storage Rack will take care of all your yard tool needs. The tool rack can be used in a garage, shed or barn - even inside a utility trailer.